My listening affair with The Rolling Stones carries with it a heavy satchel of struggle and self-inflicting restraint. The evolution from tolerating, through hating, and ultimately to accepting has been a long and winded excursion. Not completely unlike the band’s 1967 compilation album, Flowers (or the majority of these posts). 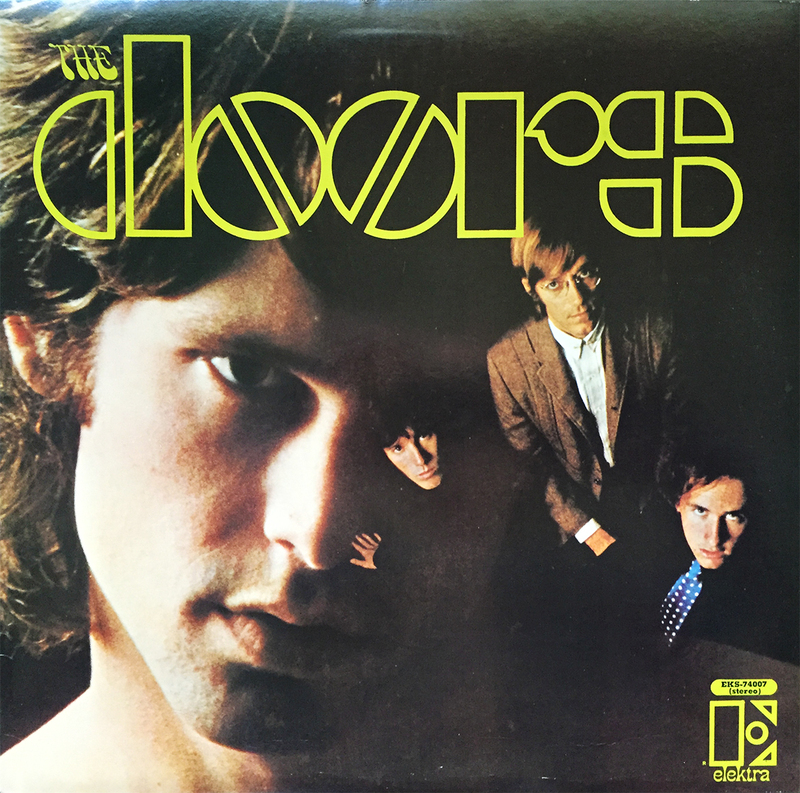 This collection of (some) previously released tracks (about half) and unreleased (at least in the US) songs from Aftermath and Between the Buttons sessions create a (money-grabbing) faux-flower-power album, perfect for the rainbow of hipsters gallivanting their way through the free-spirited summer of ’67 (the album was released on June 26th). If you can stomach the overindulgent counterculture cover, you’ll find the seeds within are anything but psychedelic (compared to say, early Floyd), and are actually heavy hitters of oldies radio airwaves (Mother’s Little Helper, Lady Jane, Ruby Tuesday, etc.). Whatever your personal feelings are towards this dominant group, Flowers is worthy of an in-depth exploration, even if you’ve heard the bulk of it before. It’s sad that I only recently discovered that the first appearance by The Steve Miller Band (then just The Miller Band) was on a live Chuck Berry record from 1967. 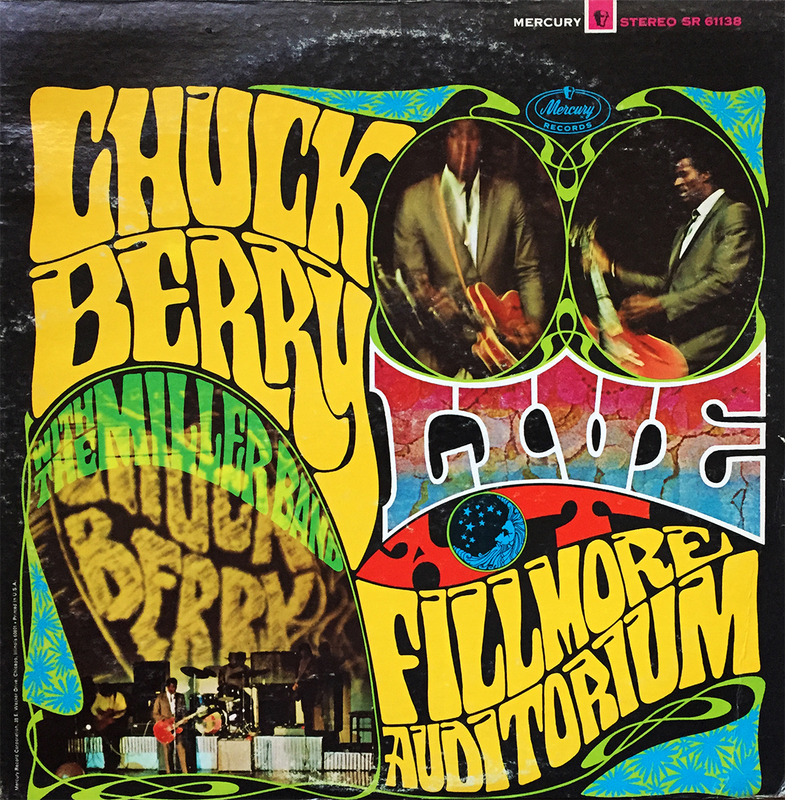 Titled Live at The Fillmore Auditorium, this Berry-led onslaught is a classic of R&B numbers made famous, in large part, by Mr. Chuck himself. Johnny B. Goode, Driftin’ Blues, C.C. Rider, and I Am Your Hoochie Coochie Man all get the Chuck & Steve treatment. With Chuck (obviously) taking the lead, the yet-to-be-internationally-famous Steve Miller offers backing vocals and harmonica in addition to his lewd, and Joker-less guitar. As debut albums go, The Steve Miller Band really couldn’t have asked for a more prolific and profound opportunity, than to record with the great Chuck Berry. If you haven’t already, check it out. Fewer things bring unexpected pleasure than my wife, in the middle of the kitchen, with a bit of a Southern drawl, and a calm temper, muttering to herself, “I wanna kill.” You see, prior to a few weeks ago, she had never heard Alice’s Restaurant Massacree. So then, we had to proceed to listen to the track, in its entirety, for the next few weeks. (Twenty-seven 8×10 glossy photographs with the circles and arrows, and a paragraph on the back of each one explaining what each one was, to be used as evidence against us.) 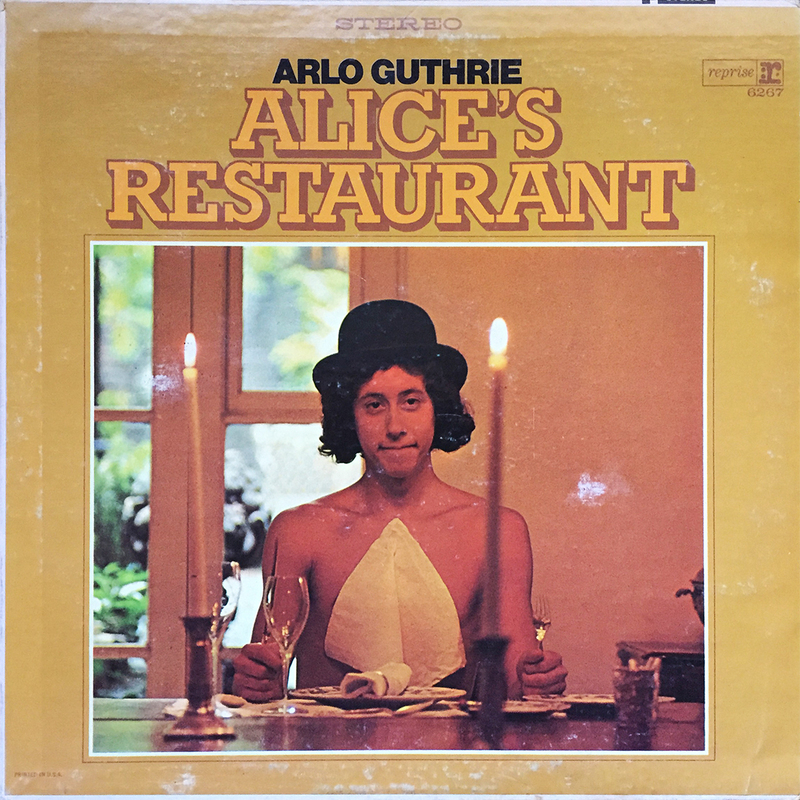 Now friends, if you haven’t spun, picked, or played Alice’s Restaurant Massacree in quite some time, I humbly suggest you put this on the top of your to-do list. The lyrics are nothing short of hysterical, the chorus is catchy as hell, and if you listen to it enough, your significant other might start randomly quoting it without prompt or any slight hint of mention. These moments, well, these are the good moments. The Bee Gees, like you (may have) never heard them before! 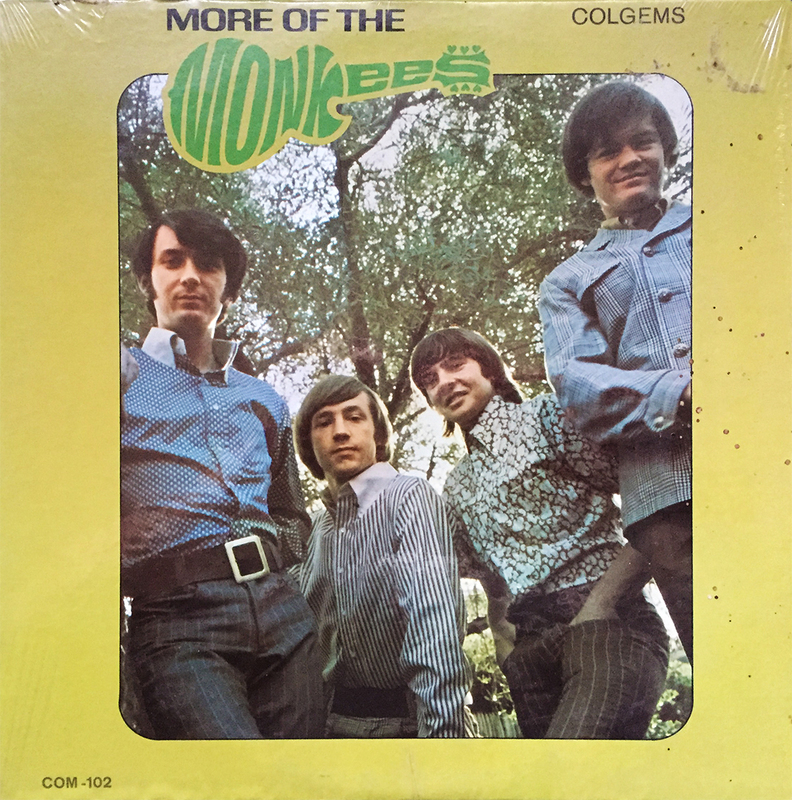 Almost a decade before their award-winning work on the grimy, mirror-ball-spinning Saturday Night Fever soundtrack, the Bee Gees, then a five-piece, dug their feet firmly into the mushroom-laden ground of late 60s pop psychedelia. 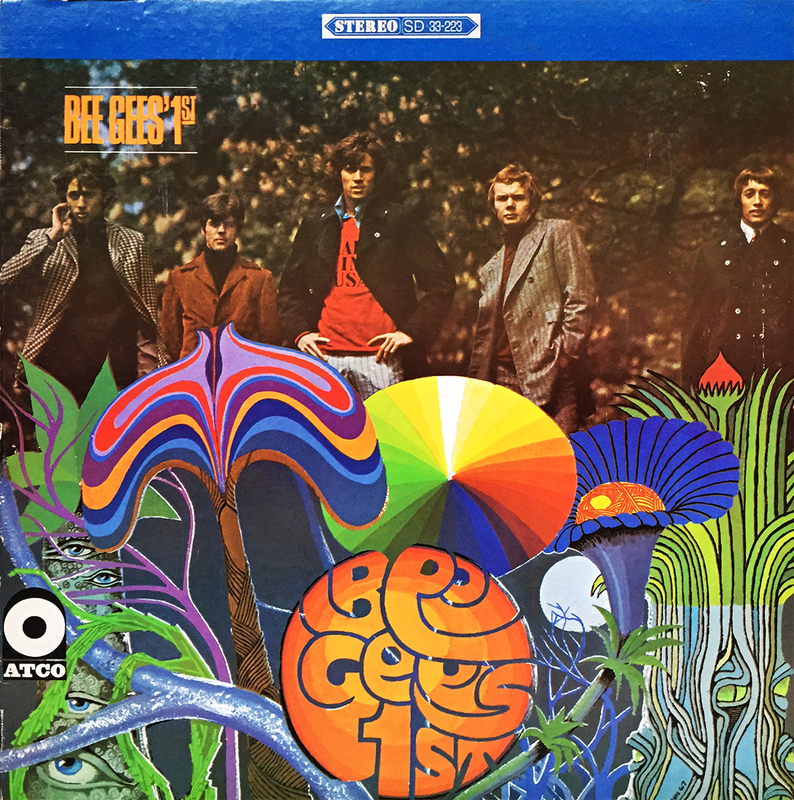 Case-in-point, their debut album, Bee Gees’ 1st. Though the three singles are New York Mining Disaster 1941, To Love Somebody, and Holiday, it’s the opener, Turn of the Century that is an absolute must-hear. Bee Gees’ 1st is a pleasant and blissful listen, and comes, strangely, very highly recommended. 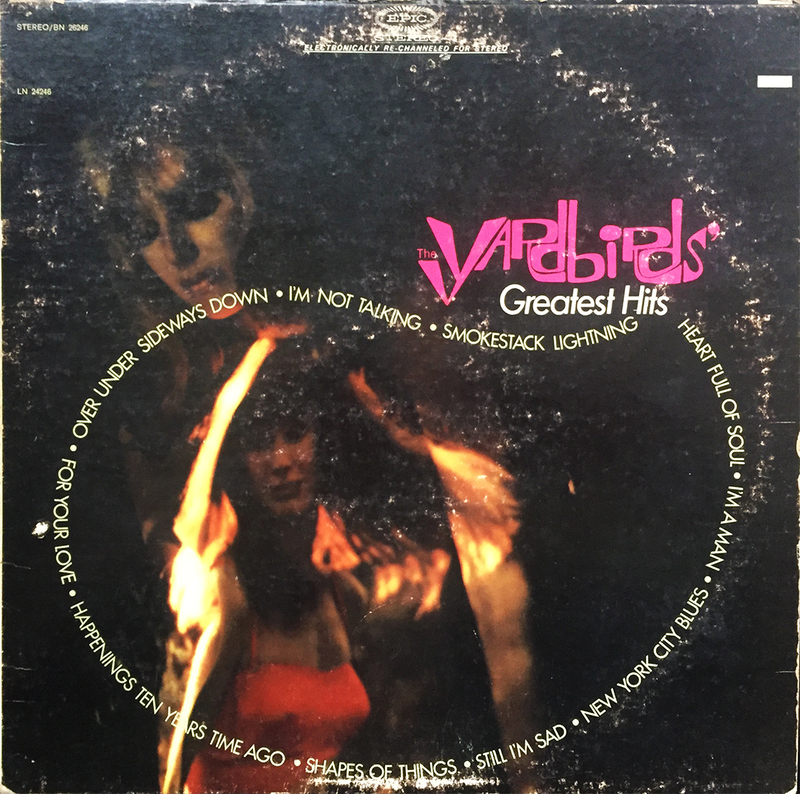 Though not usually a fan of Greatest Hits albums (I only own about 50 of them), decently priced Yardbirds albums are strictly difficult to come by, even those in almost unplayable condition. So, though I do own a few additional Yardbirds records, this one, their Greatest Hits from 1967, was for years my only taste of this (ever revolving) all-star band. Just for shits I priced 1964’s Five Live Yardbirds (the band’s debut), and VG+ copies are fetching for over $200. Kudos to those in possession of that gem. If you’re in the mood for a fantastic (country) duet album, (and let’s be honest, who among us isn’t?) 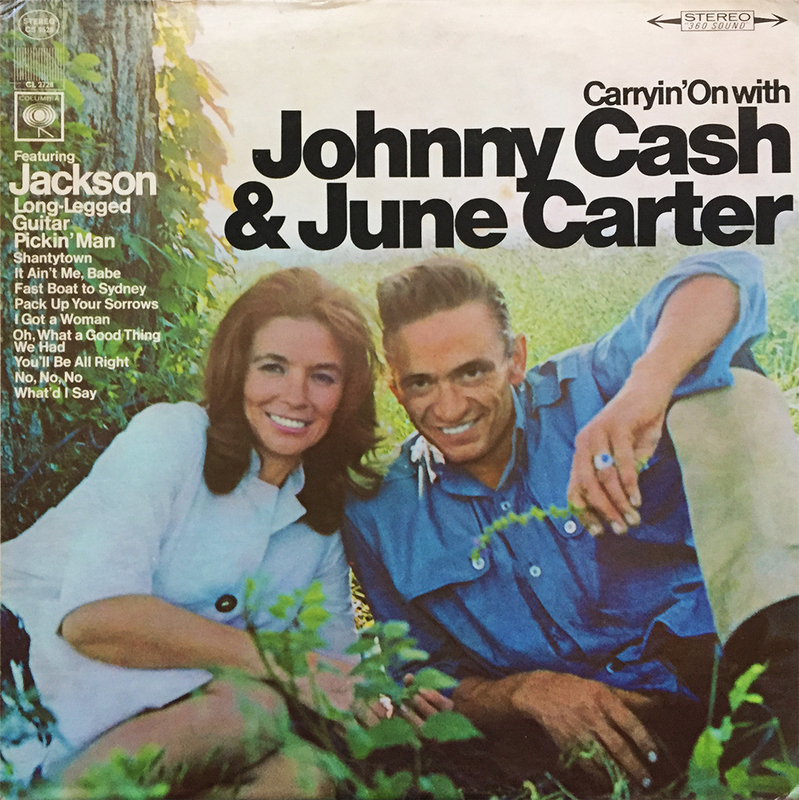 look no further than Columbia Records’ 1967 classic, Carryin’ on With Johnny Cash and June Carter. Though the Ray Charles and Bob Dylan tracks are great, it’s Jackson that’ll get everyone’s feet leaving the floor. In my ongoing quest to complete my Johnny Cash discography, this much-needed album was a thoughtful gift from my second-hand-hunting parents. Thanks again, guys! 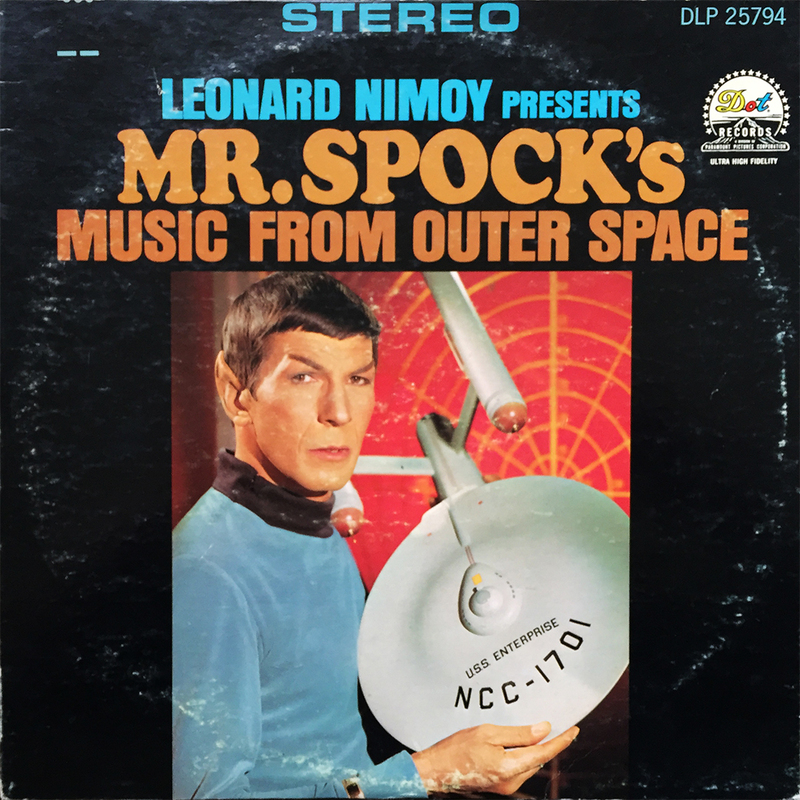 I was a bit hesitant about this post as my overwhelming shame for not having owned Leonard Nimoy Presents Mr. Spock’s Music from Outer Space would be exposed. This kitchy novelty album from 1967 sits next in our office rotation, and is sure to please, if the cover is any indication. Tracks like A Visit to A Sad Planet, Beyond Antares, and of course Music to Watch Space Girls By should make for a rather interesting “easy listening” spin. My shame is now a distant shadow in a vibrant nebula of time and space. 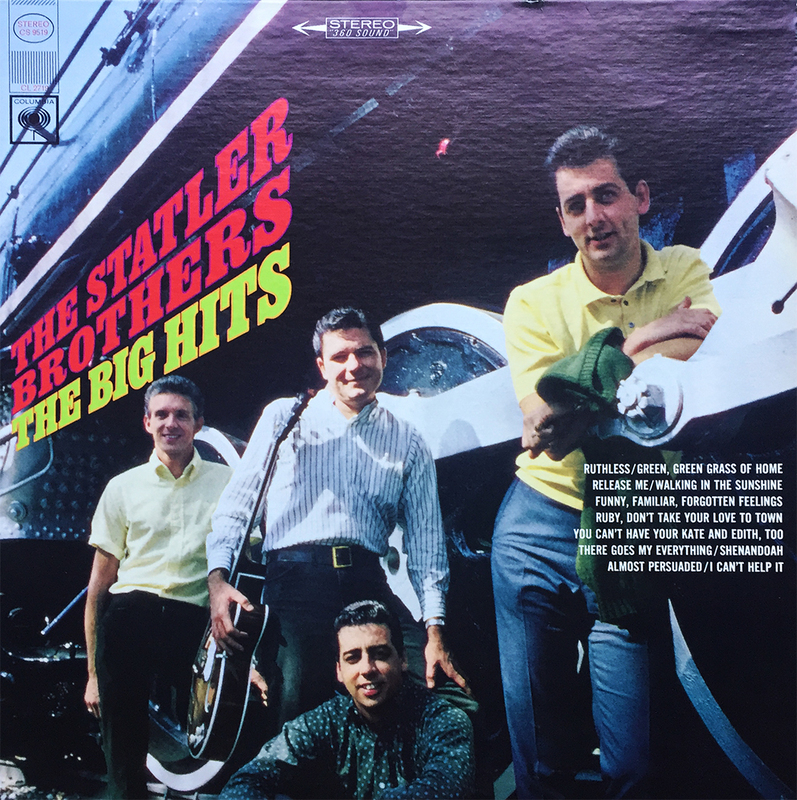 Sing the Big Hits was The Statler Brothers’ 2nd studio album, released in 1967, and it contains two tracks that would make their 1972 double LP compilation album, The World of the Statler Brothers, with Ruthless, a fun play on words track about a former lover, Ruth, no longer being around, and another playful tongue-twister, You Can’t Have Your Kate and Edith, Too. 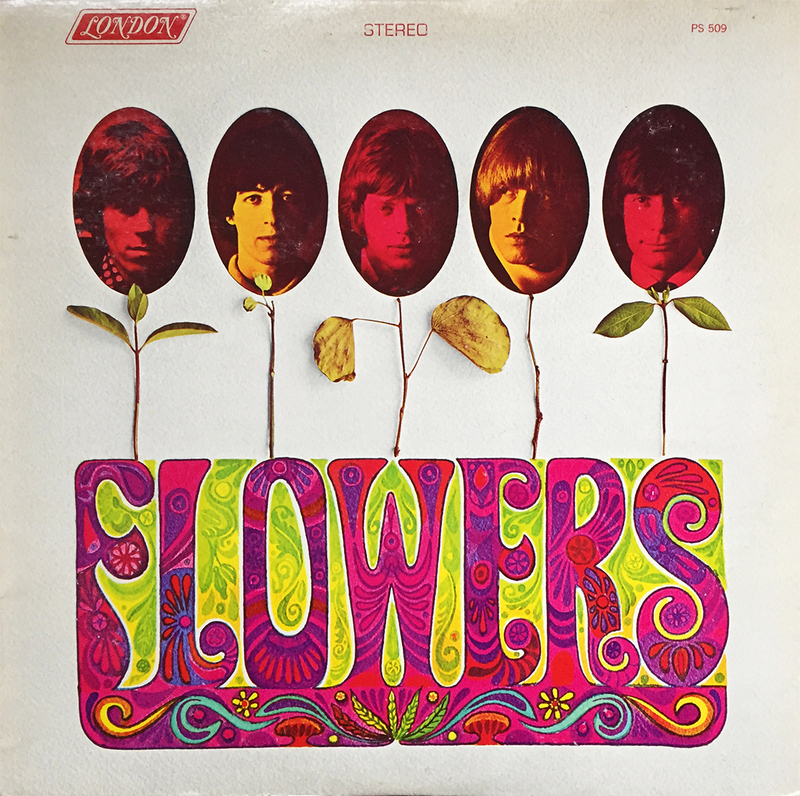 Flowers on the Wall, the band’s first album, still remains no. 1 on my “to-get” list, but I’ll enjoy their sophomore effort in the meantime. 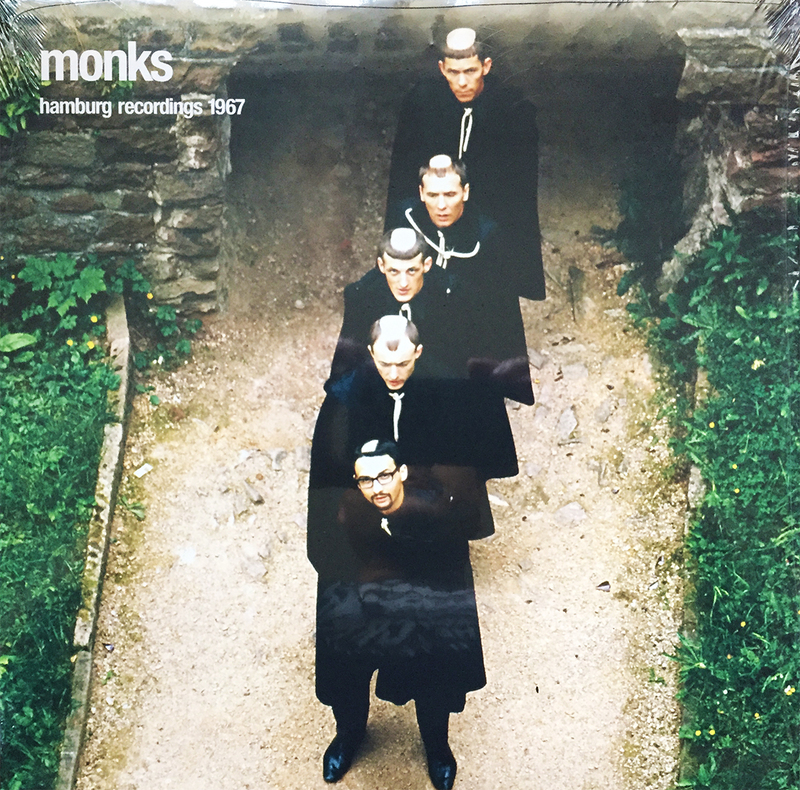 Third Man Records released a 5-track EP earlier this year of previously unreleased material from 1967 by The Monks. This copy, though reasonably priced at $10.99, was in fact NOT the hand numbered white vinyl version limited to 300 copies. All good, however, as the music within captures this obscure band during their (presumably) last recording session prior to their inevitable breakup. All-in-all, a necessary acquisition, if only for the sake of modern music history. 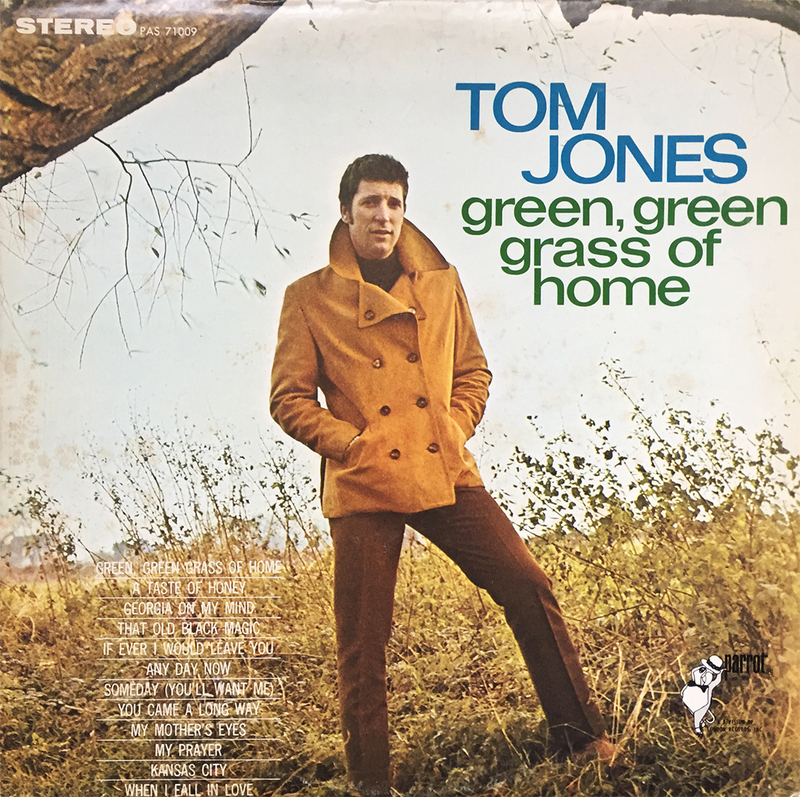 Though I’ll admit that Tom Jones isn’t necessarily a consistent go-to, Green, Green Grass of Home was certainly a no-brainer for a cool $1. Released in 1967, G,GGoH features some relatively obscure Tom Jones in Georgia on My Mind and That Old Black Magic. I wouldn’t suggest you run out and find this album, but if you stumble across it, give it solid consideration. 1967 Dean Martin is solid, reliable, and adequate cocktail-chaser music. Gin and tonic, rye and vermouth with a dash of bitters, or a tart vodka martini are all outstanding pregame options to Deano Martino’s You Can’t Love ’em All. Though originally recorded for the original Ocean’s 11 in 1960, Ain’t That A Kick in the Head made its first LP appearance on this record, or so I could gather by my research companions (Discogs.com and Wikipedia.org). 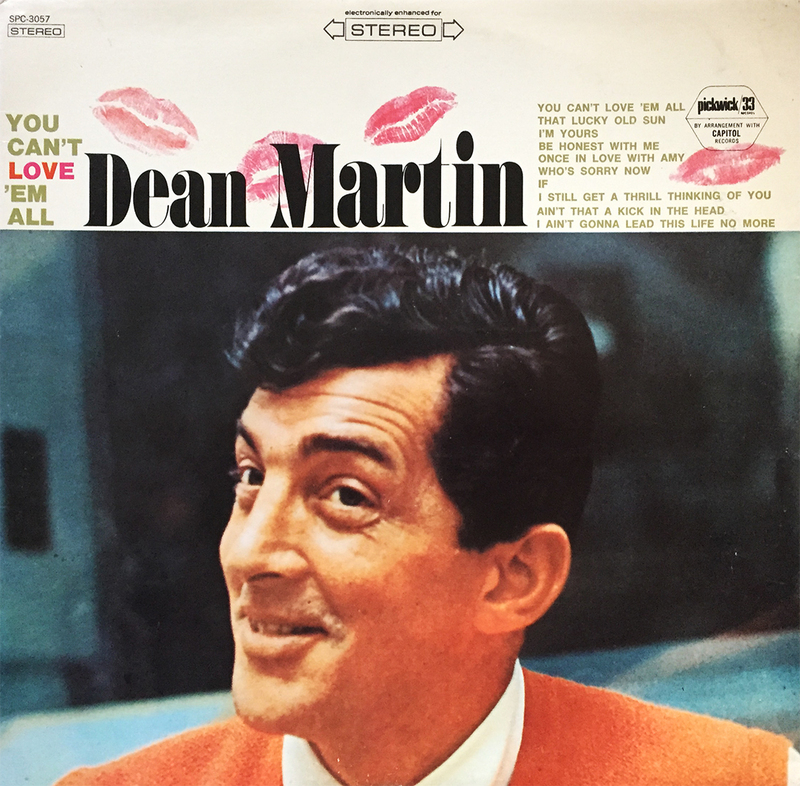 Whether your drink of choice is a Harry Headbanger, black coffee, or simply lemon water, Dean Martin is at the ready with a thirst-quenching soundtrack for you. Bottoms up. 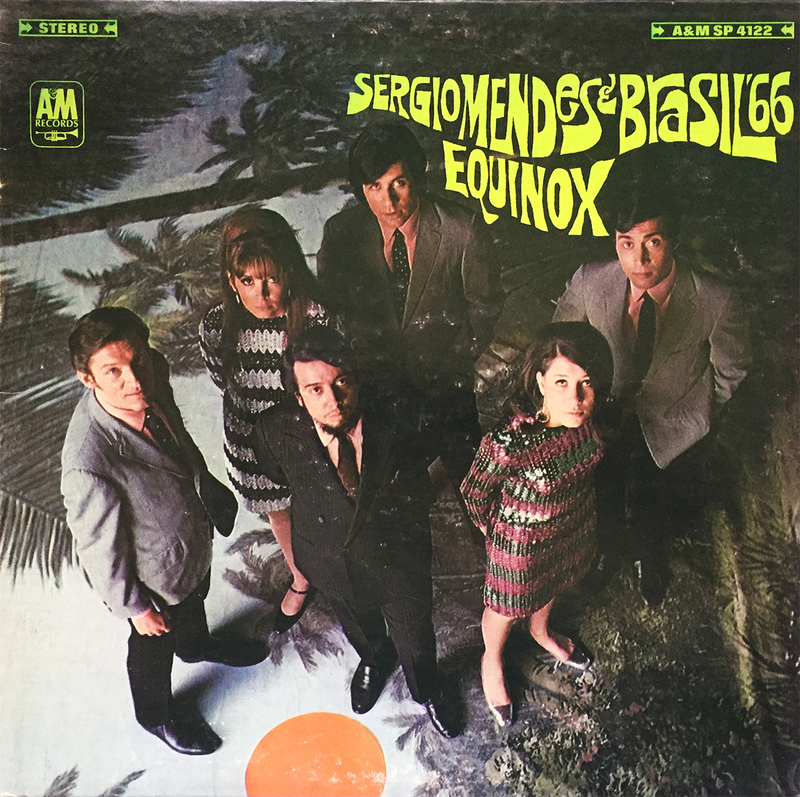 There’s something striking, and a bit unnerving about the cover of Sergio Mendes & Brasil ’66’s 1967 album Equinox. First of all, since their debut album dropped in 1966, and this is their sophomore effort, shouldn’t they have referred to themselves as Sergio Mendes & Brasil ’67? 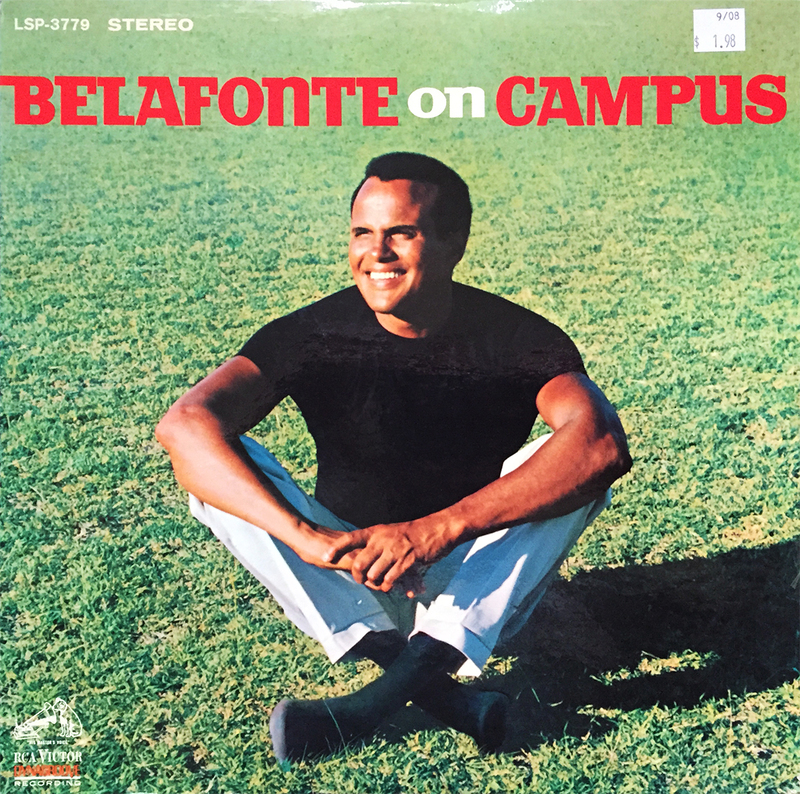 But more importantly, the angle of the cover photo, and the pensive looks across the faces of this great Latin jazz band suggest some hidden, otherworldly connection. When taking the photo for this record, I nonchalantly framed the album on my desk and through my camera saw six, 1967 musicians staring back at me. It was a moment I couldn’t shake, hence the subject of this post. Anyway, the music is great, like I said, Latin jazz, and you should check it out, if you can get past the chilling cover. Oh, man. I can’t wait to spin this beauty tonight. 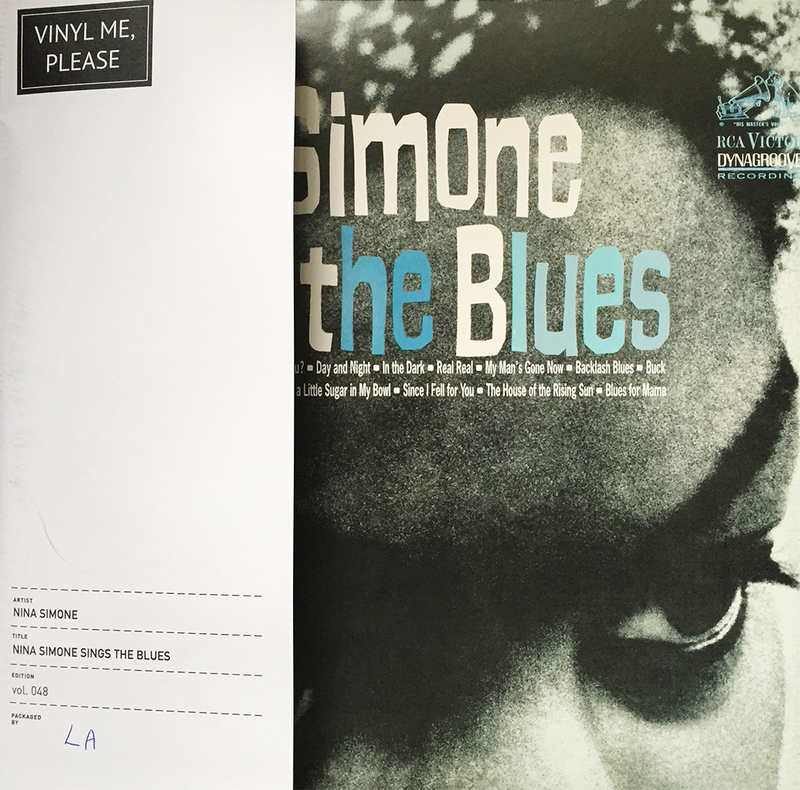 Vinyl Me, Please comes through (again) with another mysterious gem, this time with Nina Simone’s 1967 classic, Nina Simone Sings the Blues. It’s gonna be a soulful evening, kids. Spin responsibly. I don’t listen to the Lovin’ Spoonful that much these days, and it’s not because the records are located on the shelf right next to Loverboy. 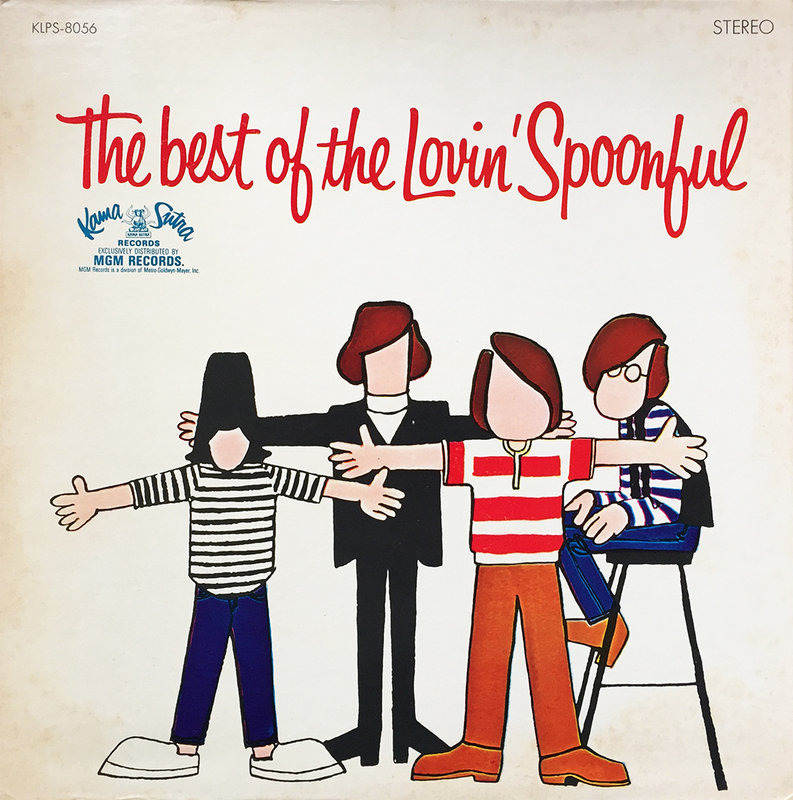 But when I do listen to the Lovin’ Spoonful, I get a hearty dose of The Best of. 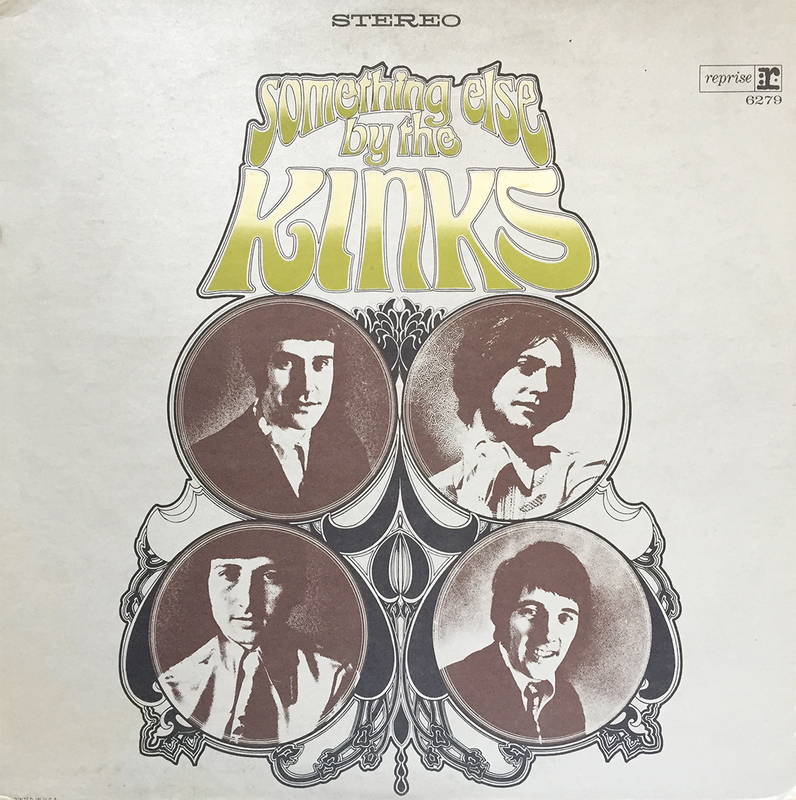 Now, I’m fully aware that greatest hits albums are for lazy bastards and fascist sympathizers, but every once and a while it’s good to “spin the hits,” especially when you forgot you even owned the record. Not sure where this recent fixation occurred, but we’re happy that she’s arrived. Sgt. 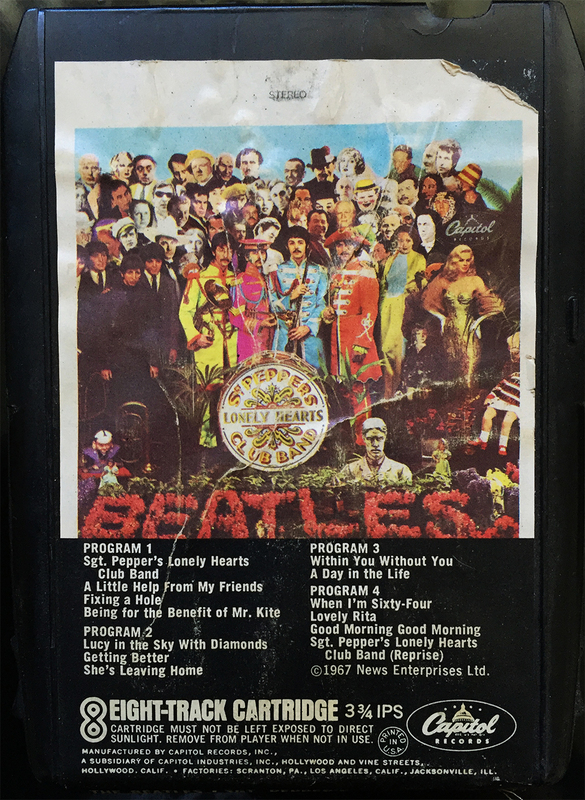 Pepper on 8-Track… not sure what else needs saying. 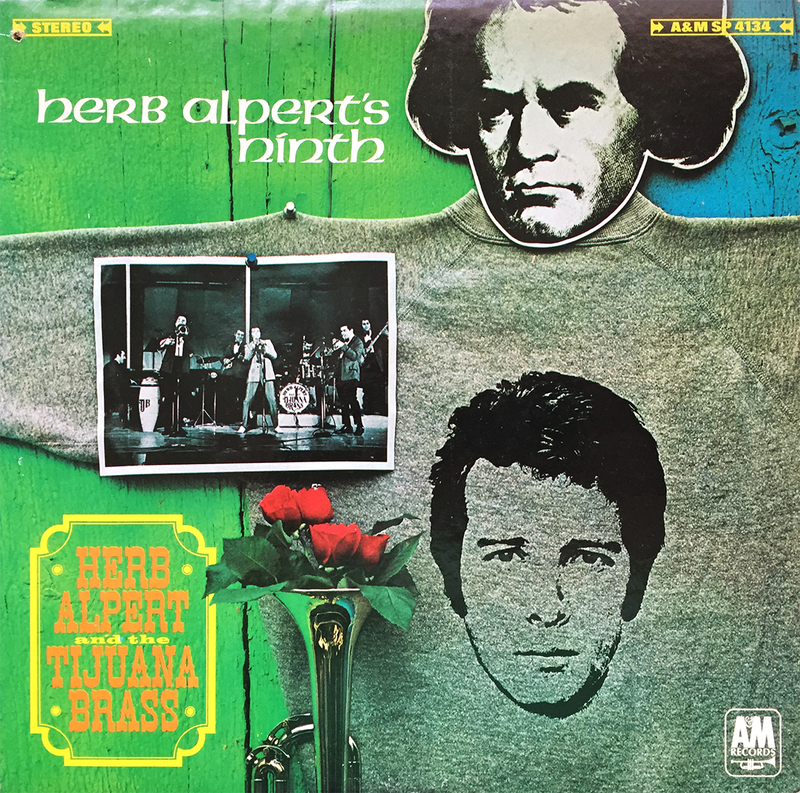 Latin jazz greats, Herb Alpert and the Tijuana Brass tackle Cole Porter (My Heart Belongs to Daddy) and The Beatles (With a Little Help from My Friends), among others on their 9th studio album, 1967’s Herb Alpert’s Ninth. Lost on me (until a bit of internet digging) is the pop culture joke on the cover. Apparently it was popular in the late 60s to wear shirts with Ludwig van Beethoven’s head on them. Makes sense, really, so jokester Mr. Alpert put his head on a shirt worn by none other than Mr. Beethoven. That goofy horn genius! The music is classic, modern day pop Latin jazz instrumental, and with every other offering by Herb Alpert and the Tijuana Brass, Herb Alpert’s Ninth comes highly recommended.